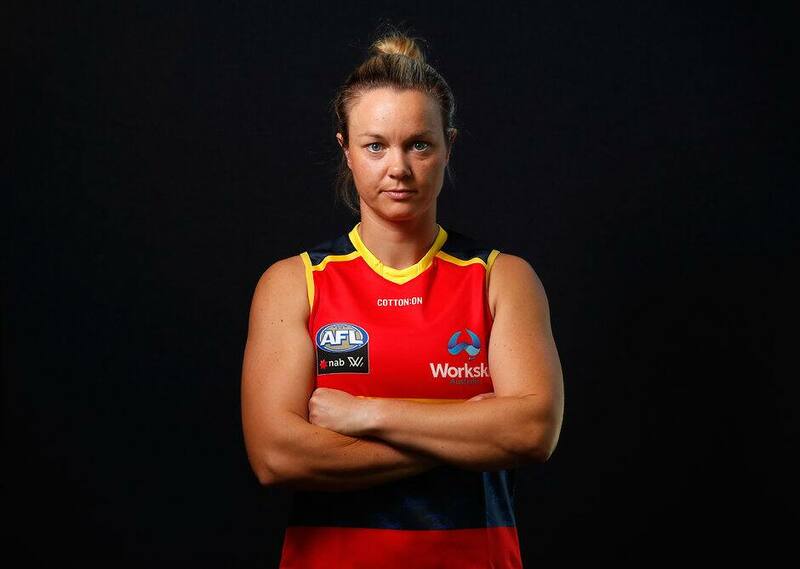 Adelaide utility Courtney Cramey has not only played a critical on-field role in the Crows' success, she's also helped nurture the next generation of players set to drive the women's game forward. Before they were teammates at Adelaide, Cramey coached the South Australian under-18 girls’ team that featured All-Australian midfielder Ebony Marinoff and key defender Sarah Allan. Marinoff and Allan, both 21, are now established players and will need to play important roles if the dominant Crows are to secure their second AFLW premiership in three seasons. Marinoff is leading the competition for disposals with 22.7 per game – an impressive number considering AFLW games are about half the length of AFL matches – while Allan is rarely beaten one-on-one and will go close to All-Australian selection. Cramey, who at 33 is one of the Crows’ more experienced players, said she was thrilled to be playing alongside such talented youngsters. "It's pretty unreal," Cramey told AFL.com.au. "To see them develop and grow into the footballers they are and to share the journey with them has been pretty amazing. "I didn't think I'd have the opportunity as an older player to do that, so that's been pretty special." The Crows have blooded plenty of youth this season, with Hannah Martin, 22, Chloe Scheer, 19, Danielle Ponter, 18 and Nikki Gore, 18 making their debuts. Anne Hatchard, 21, has taken her game to another level in the midfield while 19-year-old Eloise Jones is part of an exciting forward line that boasts plenty of speed. Cramey has been used in attack and through the midfield under new coach Matthew Clarke after playing predominately as a defender in the previous two seasons. "It's good to be able to play all lines," she said. "Wherever he throws me, I'm willing and ready to go." Cramey, who missed two weeks with a hamstring strain before returning for last week's 60-point thumping of Melbourne, might be staying up forward if her goal of the year contender against the Demons was a sign of things to come. Having received the ball from Stevie-Lee Thompson hard on the right-hand boundary line, Cramey's snap took a sharp turn that spinning great Shane Warne would have been proud of. "I was in a position where I was lucky enough to get the handball from Stevie-Lee and I didn't have much space, saw the goals and gave it a crack," Cramey said. "We practice them at training…I was lucky enough for it to come off."